We are living interesting times here in Egypt, times when the Government flaunts the freedom of speech it allows its citizens, while in fact, many are facing legal consequences of them exercising it. Over the past few months, the situation has been deteriorating. It has become very apparent that if you think outside the box in Egypt, you’re risking going to prison. Getting creative with topics such as politics and religion is a guaranteed way to get yourself in trouble. On the 5th anniversary of the Jan25 Revolution, a little incident that we will refer to as the “Condom Video”, took place. 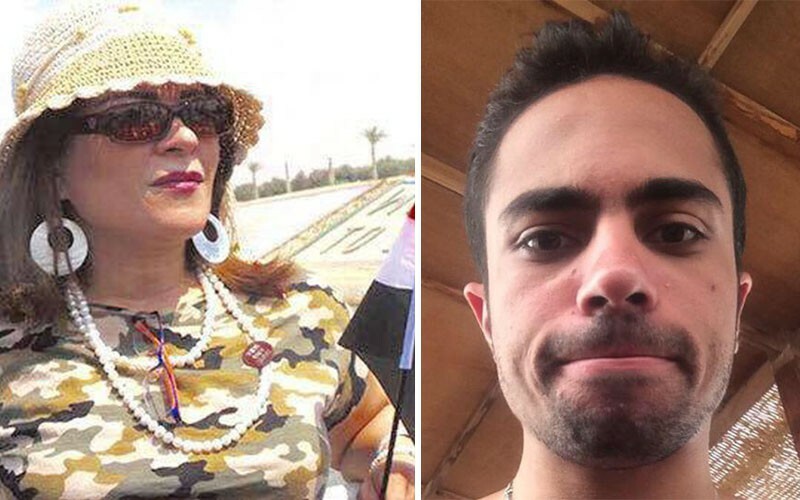 Actor Ahmed Malek and satirist TV reporter Shady Abuzeid, aired their frustrations via satire, making a tongue-in-cheek video where they blew up condom balloons, wrote messages on them directed to the Egyptian Police and handed them out to the riot police present at Tahrir Square. Mixed reactions arose immediately after the video was published. People were either entertained by Shady and Ahmed’s little prank, or thought it was mean, cruel and disrespectful. News have surfaced that both young men will be prosecuted for “insulting the police”. Shady, whose work with Abla Fahita was the most popular part of her show recently, was dropped by Abla Fahita in a heartbeat. A statement was made from the puppet star’s Facebook page denying any connection with the video, much to everyone’s surprise, since Abla Fahita’s show has been repeatedly attacked for its sexual innuendos. As for Ahmed Malek, he was “forbidden” from acting by the Actors’ Guild. This is not all, unofficial Facebook pages carrying the name of the Egyptian Police are openly threatening both Shady and Ahmed. Egypt’s authority figures seem exceptionally unable to take a joke! Ahmed and Shady responded differently to the pressure. While Ahmed apologized, Shady insisted that even if his joke was cruel, the Egyptian public’s attention should be given to the government’s and police’s corruption instead. These weren’t the only reactions prompted by the outrage taking place, many of Egypt’s public figures joined the discussion. TV Host Moataz Mattar gave a fiery speech in regards to the matter during his show last night. It is worth mentioning that both Ahmed Malek and Shady Abouzaid were injured during the Jan25 Revolution. This is something which they are no longer allowed to protest about, given the State’s harsh punishments for breaking the protest law. The government isn’t only unable to take a joke about itself, it also makes it very difficult for anyone to speak their mind without concern of being persecuted. Fatima Naoot, a dedicated supporter of the regime, was sentenced to three years in prison. Her support to the government didn’t come to aid her when she wrote, quite liberally, about religion. These are only examples of the Egyptian government’s growing disregard for creative freedom. The only joke here is the government’s claim that free speech is encouraged. Writers and creatives continue to fill Egyptian prisons, which were already packed with activists. Whether you are an avid government supporter like Fatima Naoot, or someone who clearly doesn’t support the government and decided to channel their frustration into something creative instead of protesting (because that’s a surefire way to go to prison), you will be persecuted. You will be locked up. Your crime isn’t insulting the police, the authority, or even God; your crime is thinking for yourself.